I have such cool news to share with you! If you follow me on Instagram you already know! (*ALSO - I've switched to @manicurator instead of @victoria_manicurator so it's easier to find me, yay!) I've joined a new challenge, and you can too!! 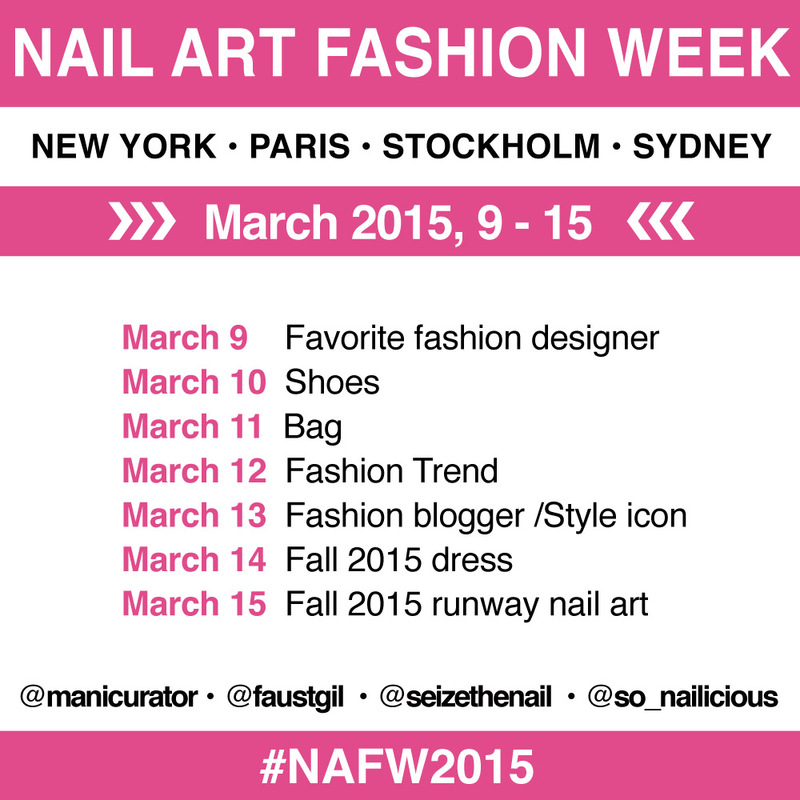 Join us for the first ever NAIL ART FASHION WEEK challenge, Match 9 -15. 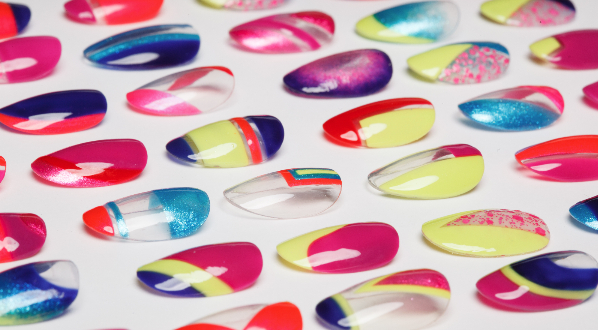 Get ready to see fashion inspired nail art. Yay! I've been wanting to do something like this for a long time so I was thrilled when Maria V of sonailicious.com asked me to host along with Faustine La NPA Mouton from Paris, and Bella SeizeTheNail of Stockholm. Please see Maria's detailed comprehensive post introducing this awesome challenge!! I have chosen to recreate a look from Spring Summer 2013 which I bookmarked the moment I saw it. I knew I'd translate it to nail art one day!! 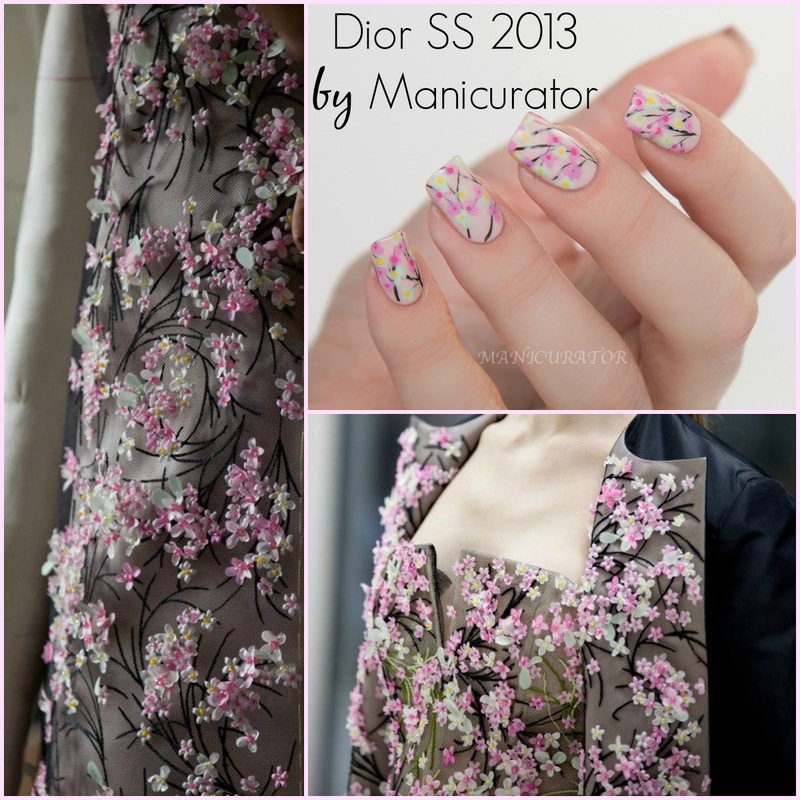 I love love the flower and garden influence that can be seen in so many Dior designs. A fairly easy design to make! I started with Zoya Ana (a satin), 3 coats for full opacity. Then I painted on branches with Zoya Willa, and dotted on the flowers in Tiana, Sweet, and Dot (also mixed them with Zoya Lucy to get different shades). The center of the flowers are dotted with Zoya Creamy and Rooney. This design looks better in my opinion, with some distance. And by that I mean not with a macro lens! Overall it has a pretty Spring feeling but if you look up close it feel more simple. I did also matte the design seen above and the last two photos as well. Loved it both ways! Which do you prefer? Yay Spring and YAY for this challenge! That is such a pretty manicure! Absolutely beautiful, your pictures are flawless and I adore this design! I wished I known about this challenge! These look absolutely beautiful! Absolutely brilliant! I love the matter version soooo much! 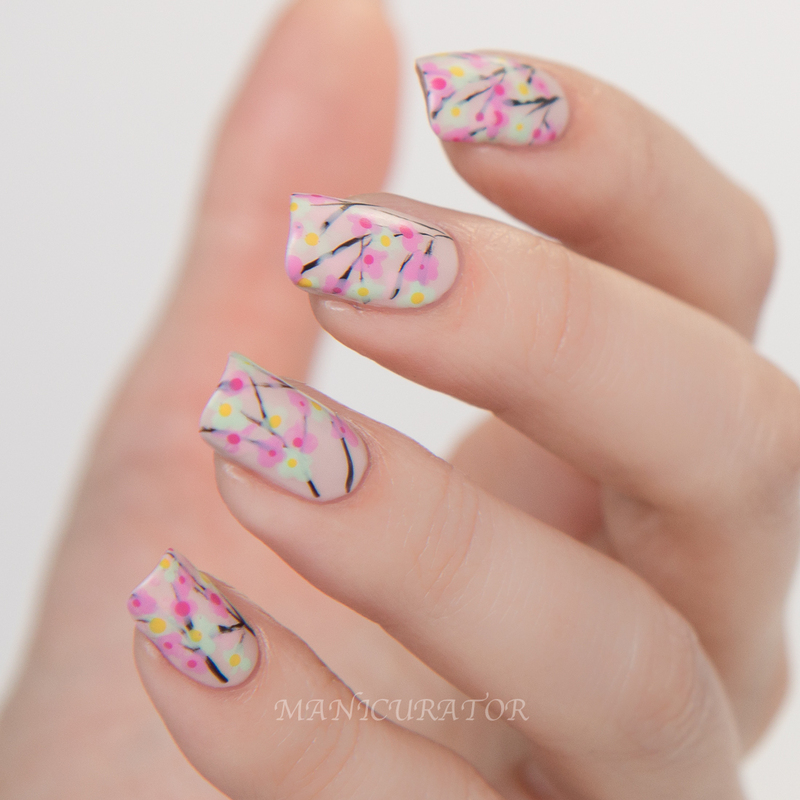 Your nails look so sweet and springy! Gorgeous! I love it matte most, but both finishes are fab! So beautiful! And the matte gives it a different feel that I really like. You started off with the right foot, dear - this is beautiful! These look awesome! I'm always going to say to matte everything but that's just because I love that finish. This is stunning!! You rocked this look, it's so soft and elegant! Love this! I really want to push myself & join! They're so pretty! And spring-like! wow oh wow! The colors all compliment each other so well, beautiful look! 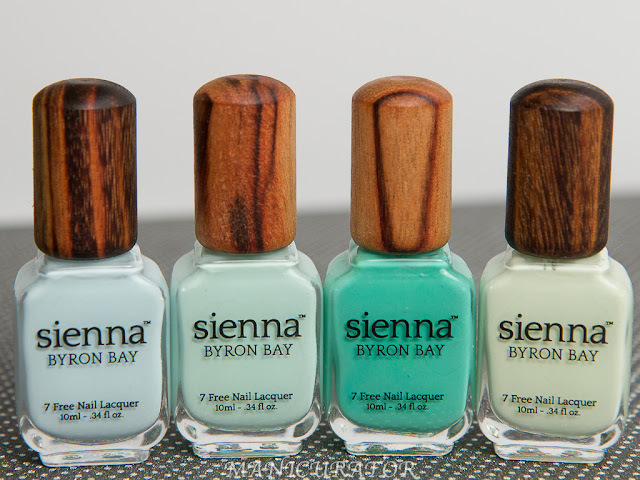 Your mani is so adorable! Perfect for Spring! Can't wait to see what you do with shoes! ♥♥♥ this is all sorts of cute! Love how the flowers are a bit sheer and show some of the branch behind them. Oh, it turned out so beautifully! It is very realistic and a great rendering of the clothing. Looking forward to the rest of the challenge! OH MY GOSH I am obsessed with this beautiful manicure. I can't wait to see what else you come up with for this challenge!